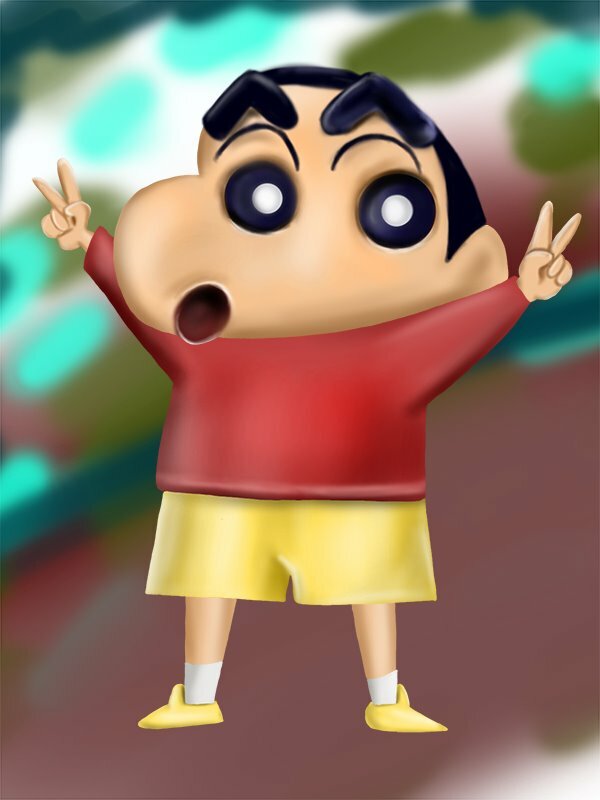 Shin Chan is a hindi animated cartoon movie which is aired on a hindi channel network0 Hangama Tv. 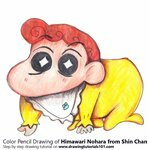 Shin Chan play a leading role. 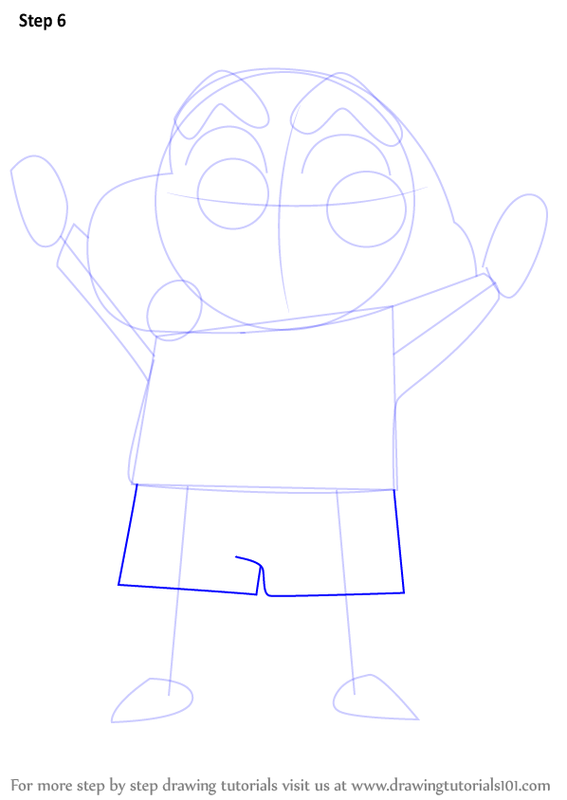 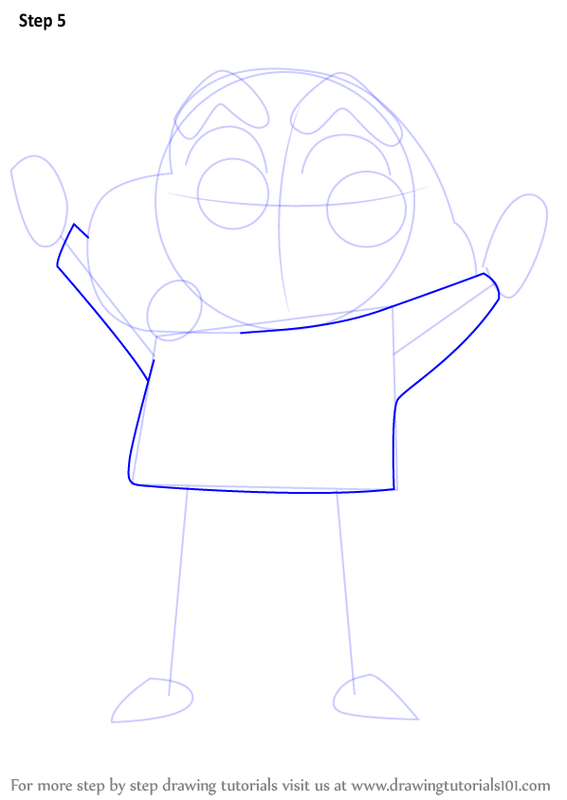 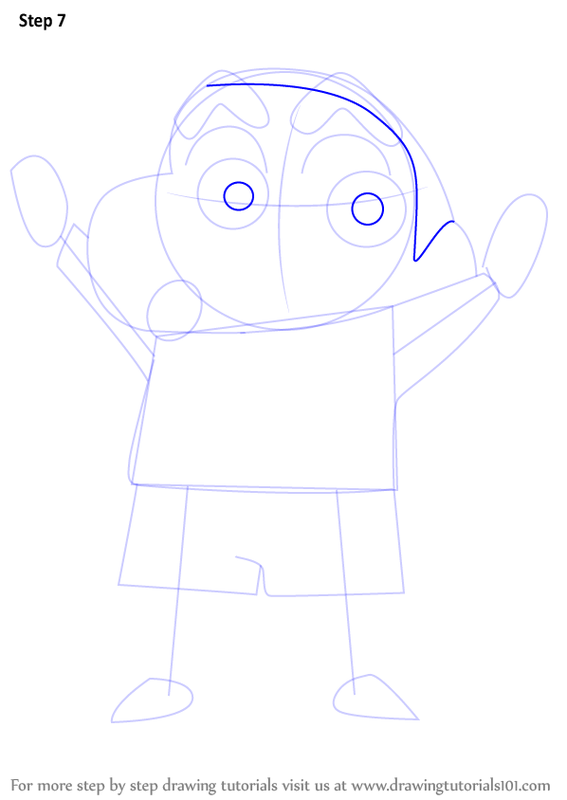 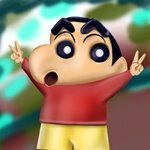 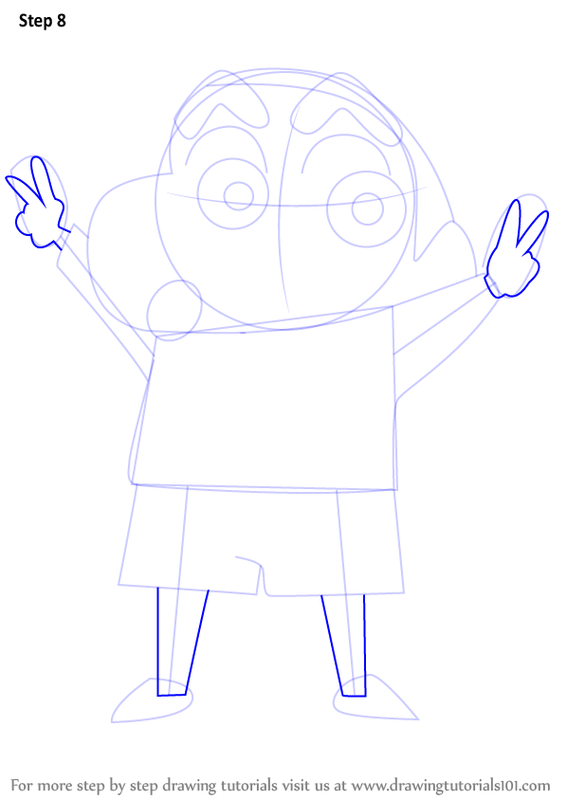 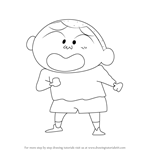 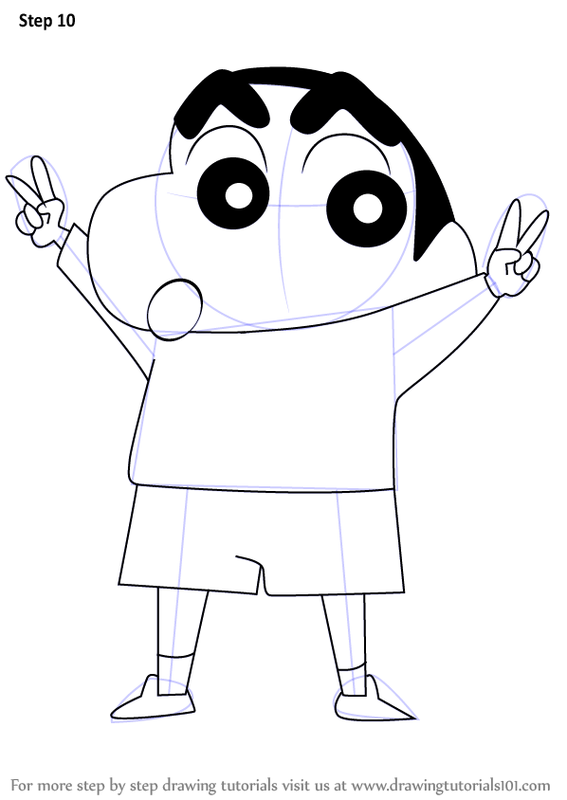 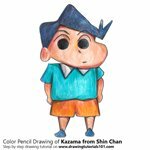 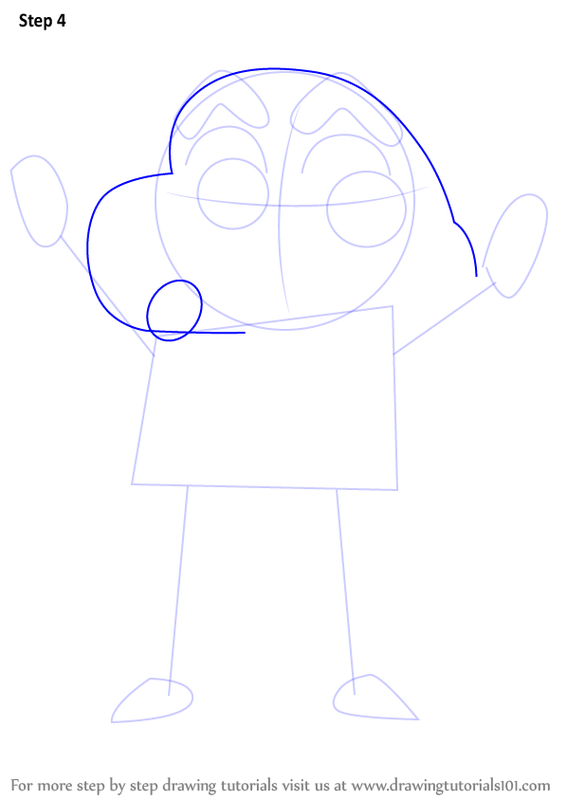 Lets start drawing Shin Chan. 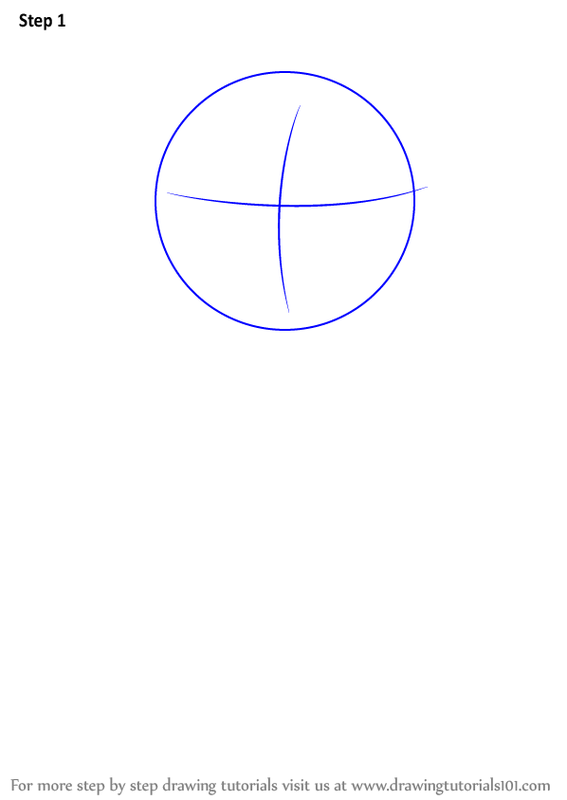 Start the tutorial work by drawing a circle. 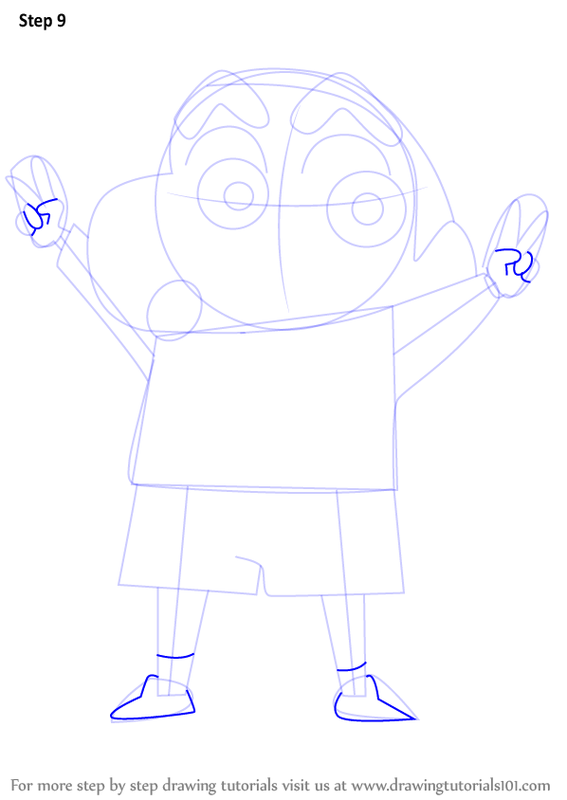 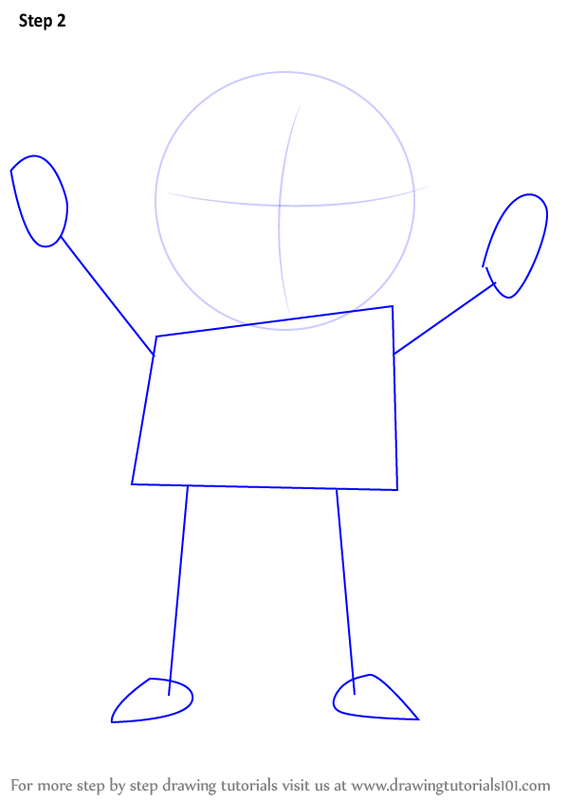 Draw outline for arms, hands, legs & feet & rectangle for body. 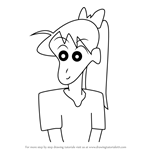 Make eye brows, eye lashes & eyes. 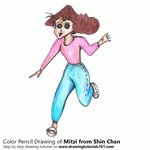 Draw sleeves & upper body dressing. 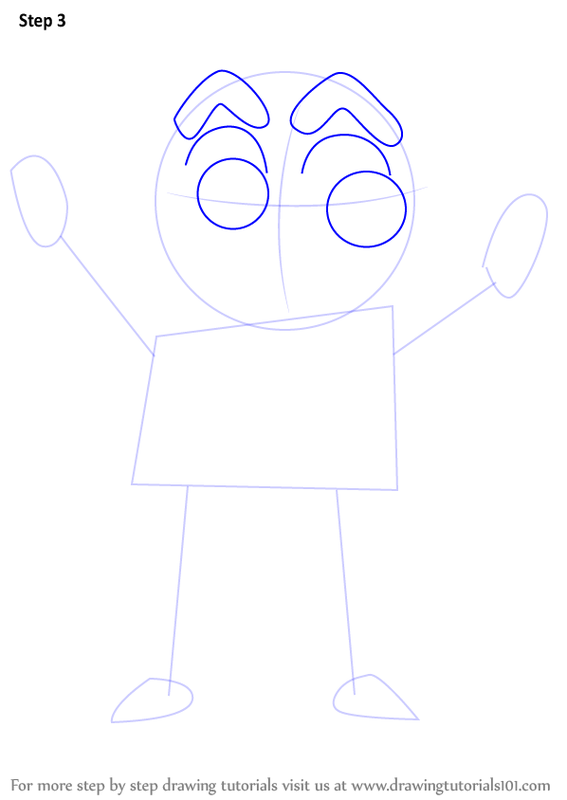 Draw hands, fingers & legs. 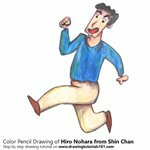 Enhance fingers & Draw shoes.